Just like other popular casino games, card-based Baccarat has some stories to tell. Before the game of Baccarat achieved its universal appeal and popularity among today’s card players and enthusiasts, the game evolved from its roots and also changed through the years. If one takes a good look at the available resources and stories online, there seems to be a growing number of books and resources all explaining the nature and genesis of the game. In fact, many of the authors and websites just based their stories on guesses, but with the discovery of some documents that described the game, casino enthusiasts and history buffs have a starting point in understanding the history of Baccarat. According to recent documents made available online, the card game probably originated in Italy. 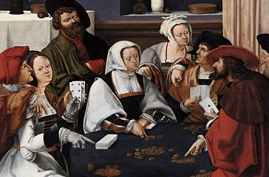 It has been argued that Baccarat started in the 13th to 14th century, and the first mention was made in a document that roughly translated to the ‘play of cards at the table’. This citation was taken from a French document that was believed to have been written between the years 1328 and 1341. It is said that when Gutenberg made his first printing press, he also printed a number of playing cards aside from the first bible, and the printed cards is one of the reasons that made the card game popular. There were a number of games that were known to be the inspiration for Baccarat. These are Tarrochi, an Italian card game that was documented in the 1300s and Macao, also known as the Italian Baccarat. According to many historians, the modern Baccarat that is played today traces its roots to this early game. This card game is a relatively new addition to the gambling industry of the United States. In fact, this was not part of the casino games that were legalized by the 1931 Assembly Bill 98 of the state of Nevada. It was actually a game variant, ‘Chemin de Fer’ that was first played in the US at a time when Sands, a hotel and casino, decided to introduce a table with this game. This variant was never considered by many as a major casino game. Another version is ‘punto banco’ which according to some historians was developed in Argentina. After 1955, the game was soon picked up by American casinos lead by Tommy Renzoni. It is actually Tommy Renzoni who can be credited for officially bringing this modern version of Baccarat to US casinos, and especially in Las Vegas. Today, Baccarat is considered a classic card game and a favourite among casino regulars. 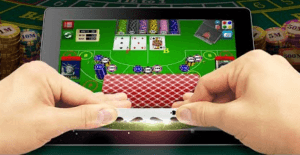 As a testament to its popularity, the game is now included in many online casinos with top names, and software developers are including the game in their portfolios. What also adds to the popularity and mystique of the game is the James Bond series where the game table is regularly included in many scenes. It’s now convenient to play Baccarat online, thanks to software providers that allow players to play the game through clicks on the mouse. Forexample, in the Microgaming version, players need to click on the card to reveal the value. The card game has truly evolved, and it is the players and enthusiasts who benefit from this.